The DGH team are proud of its reputation as a premier salon in Northampton, happy to serve customers of more than ten years as well as new clients. 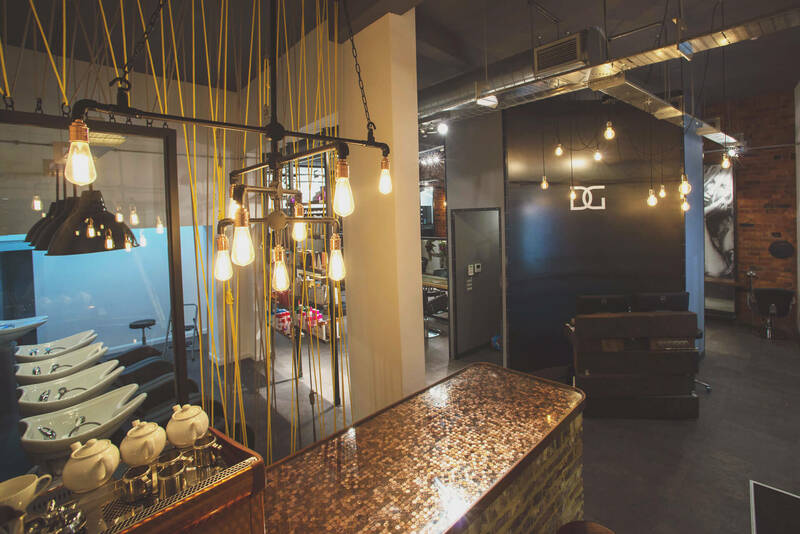 Recognising that you have a choice of salons, we pride ourselves on putting you at the centre of quality time with us, from reception through to booking your next appointment. Whether it’s a case of turning your ideas into a great look, or working with you on your new look, you are guaranteed a top-notch hair appointment leaving you relaxed, satisfied and happy with your hairstyle and colour. All our customers, younger and older, are assured of the friendly welcome and great service that will leave you wanting to know when your next appointment is! Thanks Carli, we love seeing you for your appointments! Look forward to seeing you next time. Thanks Sharinah for taking the time to write such an amazing review about Chloe and Enzo! We look forward to seeing you for your next appointment. I am once again very pleased with the experience, felt very relaxed. Chloe is a very lovely person, has good advice and always makes my hair look amazing. Happy as always. Thanks for taking the time to write such a lovely review about Chloe and the team. We look forward to seeing you for your next appointment! As usual Niamh points me in the right direction, I get comments on how nice my hair looks and it’s all down to her, I really have not got a clue ???? Thanks for taking the time to write such an awesome review about Niamh, we look forward to seeing you again soon for your next appointment. Fantastic cut & colour again!! Thanks for your great review, Alison! 9 out of 10 !! 8.9 out of 10 !! We will make sure that Filip thinks of some interesting conversation for your next visit, Nick ;) Thanks for the great review. Thanks for the great review, Maria! Even though I normally sees Stacey, Niamh done exactly like Stacey does. Thanks for the great review about Niamh, Natasha. We're glad Niamh does your hair the way you like it. Thank you for the lovely review Jacqui. So glad we made you feel so comfortable. We hope to see you soon!! Thank you so much for your review Wendy, we look forward to seeing you in the future! Thank you for this review Cheryl. Had my hair coloured by Chloe on Saturday. The colour is stunning. My hair is naturally dark and she blended colours together that gave it such a warm glow! I couldn’t be happier. Philip always cuts my hair to perfection. Need I say more! Chloe listened and delivered adding her expertise and skills to tone tame and trim my hair into a style that’s suiting me best. Bravo, In addition the team is vibrant and the owner well the one I met a genuine creative. Go it’s great! Thank you for the lovely review Antonia. We are so glad our team was able to show off their creative sides with you. We look forward to seeing you on your next visit. Thanks for your great review, Cheryl! Thankyou for this lovely review Helen. We look forward to seeing you soon. I cannot thank Steph enough! This is the first time I’ve ever come to Daniel granger, all the staff were lovely! I met Stacy & Ellie who were so understanding and sympathetic towards my situation & they all genuinely wanted to help me & try their best! They all made the extra effort to just be NICE and make me feel welcome and calm since I had such a nightmare with my hair the previous day with another hairdresser. They got me in the next day and literally fixed my hair perfectly! Steph has such amazing skills and I cannot recommend her and the salon enough. They just go above and beyond! It might sound silly just over getting your hair done but it has made me feel so much more confident! The amount of compliments I’ve had since is crazy! Thankyou so much Steph! You’re amazing and I can’t wait to come back to you next month! You will now be my hairdresser for life so please never retire! Thank you so much for leaving such an awesome review about the salon and Steph, Ellie and Stacey. We look forward to seeing you again really soon! Thank you for taking the time to write this lovely review Sharron, we look forward to see you at your next appointment. Once again, a fantastic, haircut, from Filip, i have never had a bad experience in over eleven year of him cutting my hair, honest opinion over, which cut would suit me and my lifestyle. Thank you so much for this lovely review Sarah. We are glad you're happy with your hair and we look forward to seeing you soon.